This black and white gemstone bracelet is a great addition to any collection. An excellent combination of teaching patience while attracting tolerance of others and prosperity. 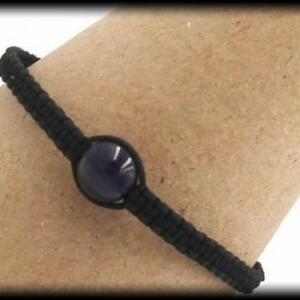 This bracelet helps to set the mind at ease to encourage a positive attitude. It helps to ground your spiritual energy while helping you to overcomes selfishness. 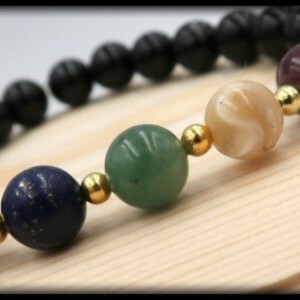 This bracelet was made with 8mm Howlite and Black Tourmaline. SIZING INFORMATION Please measure your wrist with a measuring tape to ensure the most accurate measurement. If you do not have a measuring tape, you can also use a string by wrapping it around your wrist and then cutting the piece of string. After you have your cut string, place it alongside a ruler and write down your measurement. To ensure a perfect fit, please had 0.5 inch to your wrist measurement, if you want a little room please add .75 inches to your wrist measurement.